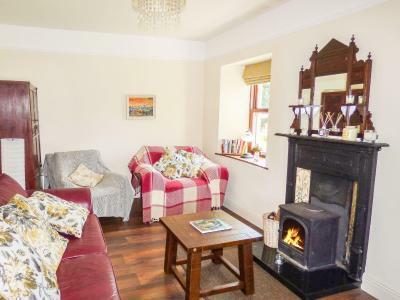 This family-run BnB is set in the village of Kinvara on the shores of Galway Bay. 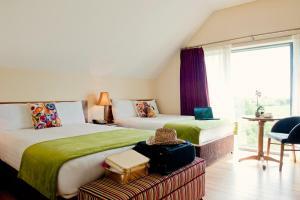 It offers en suite rooms with a TV and free Wi-Fi, 3 minutes' walk from Kinvara Harbour. 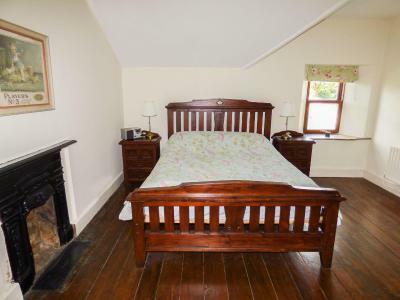 Cosy rooms at Fallon's Bed and Breakfast include tea and coffee making facilities. 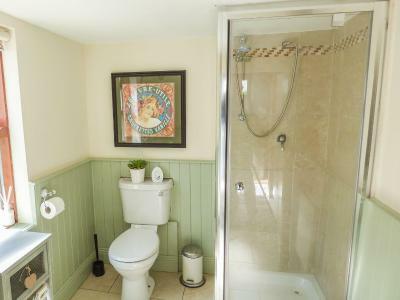 En suite bathrooms feature free toiletries and a hairdryer and ironing facilities are available upon request. A full Irish Breakfast is served in the spacious dining room and you can walk to one of the village?s many welcoming pubs and restaurants within 5 minutes. 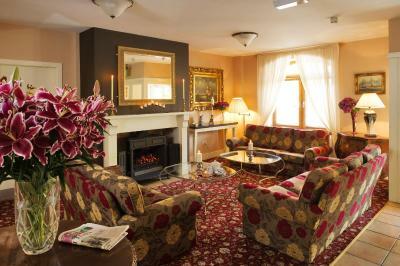 Fallon's is 10 minutes' walk from historic Dunguaire Castle and close to various nature trails. It is also well located for touring the Burren Mountains, visiting Ailwee Caves or driving to the Cliffs of Moher. 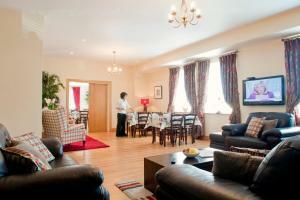 The property offers free parking and is 25 km from Galway City and 50 minutes' drive from Shannon Airport. 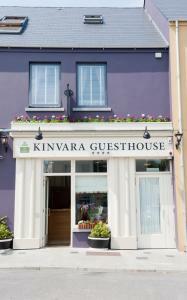 Kinvara Guesthouse is a delightful, new, luxurious guesthouse centrally located in the picturesque fishing village of Kinvara. 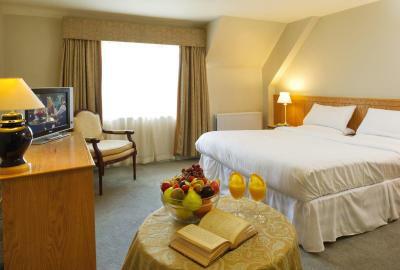 It has recently received 4 Star Rating from Fáilte Ireland. With unrivaled natural beauty on its doorstep, Kinvara Guesthouse is ideally positioned at the gateway to the spectacular Burren Region and on the shores of Galway Bay. The partner Pier Head Restaurant serves fine Irish and European cuisine. The dining room overlooks Kinvara Bay and Dunguaire Caste. 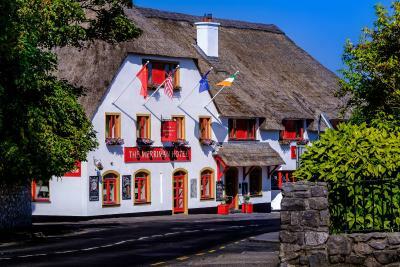 The hotel, which has the largest thatched roof in Ireland, consists of 32 bedrooms, a restaurant and a pub. Kinvara is a picturesque fishing village, located on the South Shores of famous Galway Bay. Our friendly staff will help you enjoy your stay and should you have any special requests, please ask. 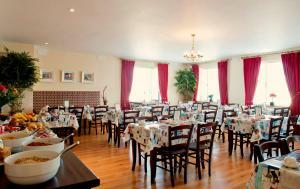 The Quilty Restaurant offers you the opportunity to sample some of the finest dishes prepared by our chefs. All dishes are prepared using the freshest of ingredients and, when possible, local produce. The pub, with its snug, and traditional Irish music sessions, is the ideal location to enjoy some locally grown oysters, washed down with a pint or 2 of Guinness. 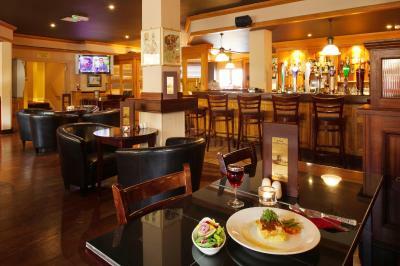 For the casual diner, the M'asal Beag Dubh bar offers a mouth watering menu. Kinvara is an excellent base for touring. The Burren is 10 minutes away, whilst Connemara and Ferries to the Aran Islands are just 30 minutes away. These are areas of outstanding natural beauty and geology. The Old School Masters House, Kinvarra is set in Kinvara. Guests staying at this holiday home have access to a fully equipped kitchen. Guests can also relax in the garden. Dunguaire Castle is 3.7 miles from the holiday home. Shannon Airport is 43.5 miles from the property. The Well House, Kinvarra offers accommodation in Kinvara, 750 yards from Dunguaire Castle. Guests staying at this holiday home have access to a fully equipped kitchen. Guests can also relax in the garden. 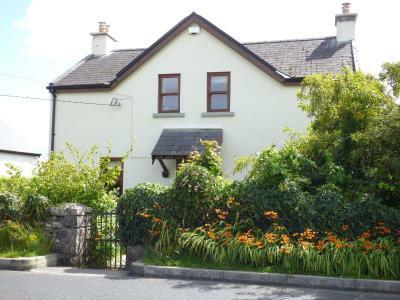 The nearest airport is Shannon Airport, 39.1 miles from the holiday home.